Use any kind of crochet cotton that you might have in your stash that is suitable for a 3.5 mm hook. Psst! 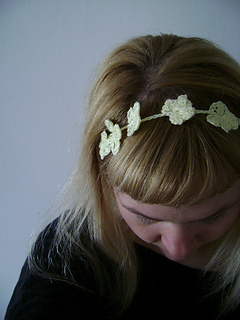 You can buy a kit with all you need to make this daisy chain crochet headband from lisamargreet.etsy.com (US) or folksy.com/shops/lisamargreet (UK).